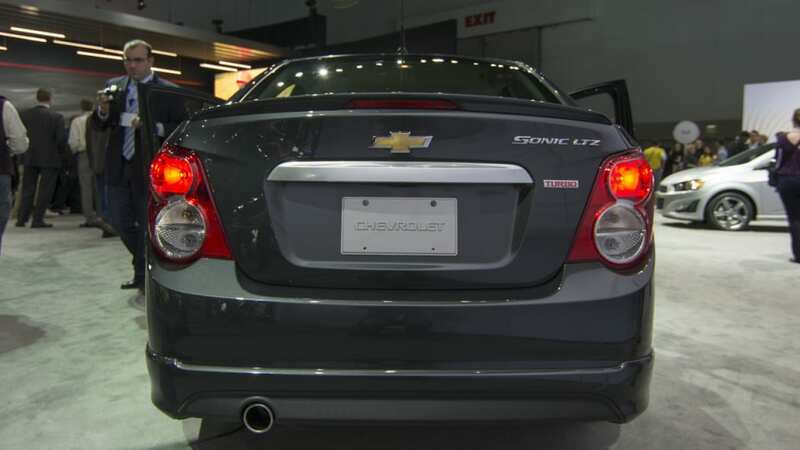 Chevrolet showed off a pair of new Sonic sedans at the LA Auto Show, giving the new RS Sedan and Dusk their official auto show debuts. The RS is kind of a known quantity, adding the same tweaks found on the RS Hatch, including new wheels, a body kit, tweaked suspension and a few racy bits in the interior. The Dusk is a different deal altogether. Based on the Dusk Concept that was shown at SEMA last year, it wears Ashen Gray Metallic paint and a set of slick, Midnight Silver matte 18-inch wheels. 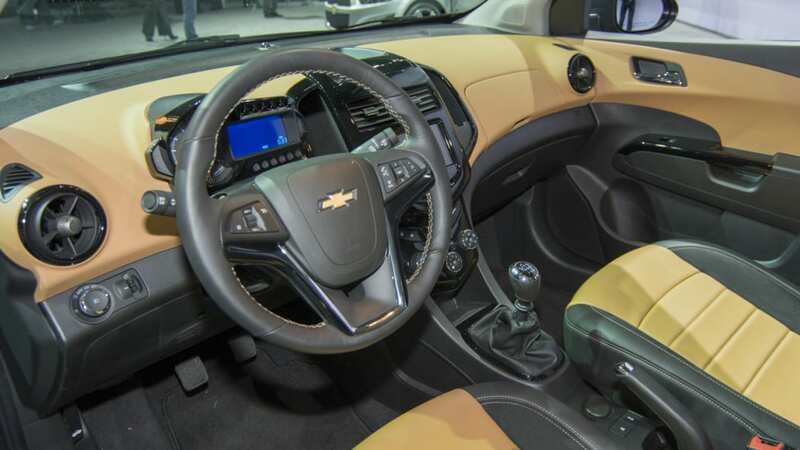 The interior features black leather and sueded tan microfiber. By and large, it's what we reported earlier this week. 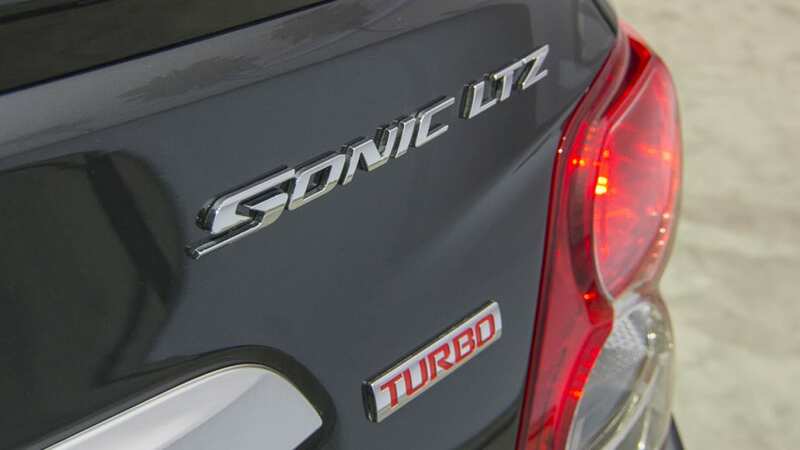 Both cars are make use of the Sonic's 1.4-liter, turbocharged four-cylinder, complete with 138 horsepower and 148 pound-feet of torque, and can be fitted with either a six-speed manual or a six-speed automatic transmission. 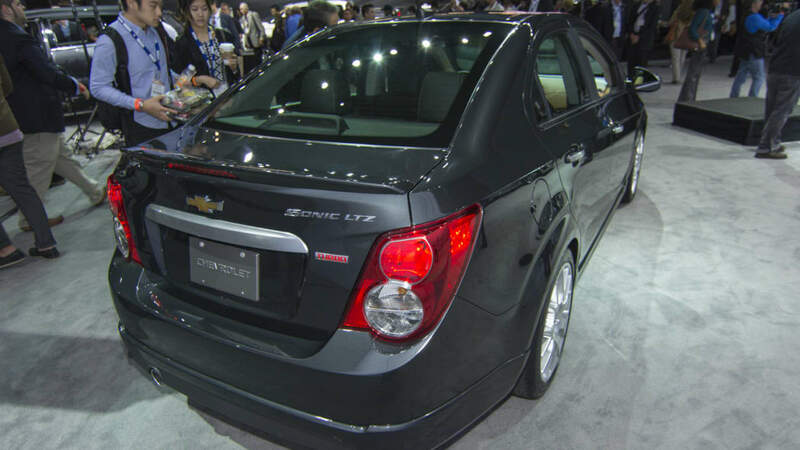 We've got live images of both the Sonic RS Sedan and the Dusk, in addition to the stock photos provided by Chevy. Take a look below for the full press release on both cars. 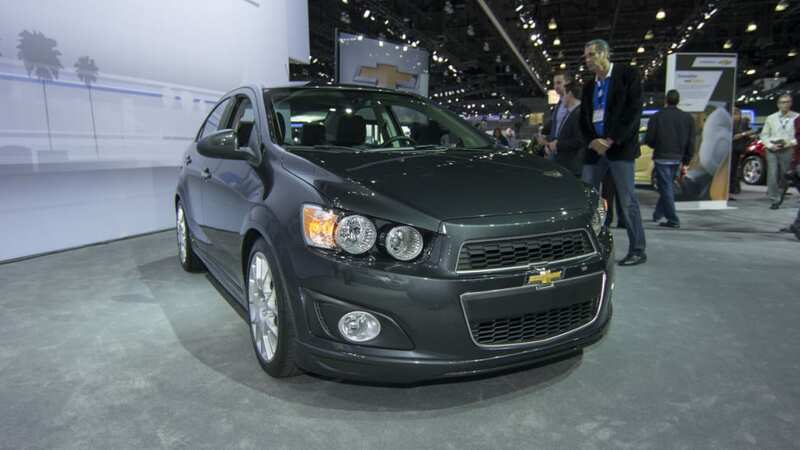 LOS ANGELES – Chevrolet today announced two new sedan options to the Sonic lineup in 2014 – the performance-inspired RS and the stylish Dusk – further demonstrating the brand's commitment to the subcompact segment and to offering younger buyers expressive options at affordable prices. 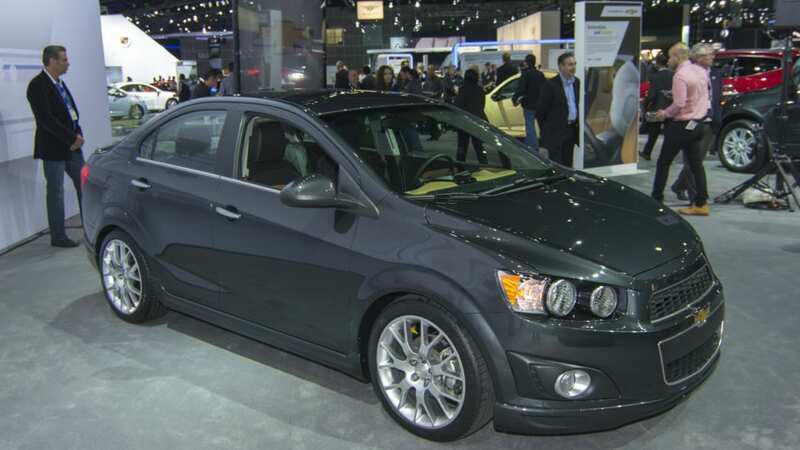 The suggested retail price for the 2014 Sonic RS sedan starts at $20,530 including $825 destination. Sonic Dusk starts at $20,945 including destination. Title and license fees are extra. "Keeping the Sonic lineup fresh and offering consumers more choice is a priority for Chevrolet," said Cristi Landy, marketing director for Chevrolet small cars. 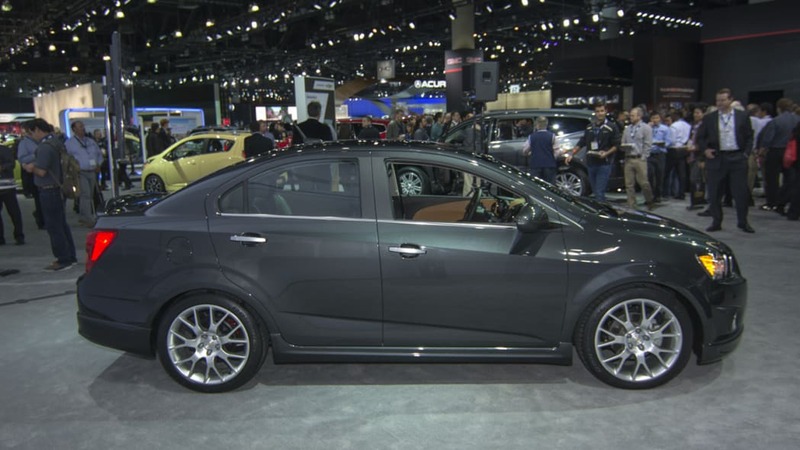 "The Sonic RS and Dusk sedans offer all of the great attributes that have made the Sonic a popular choice in the subcompact segment and they add performance and design cues." The performance-inspired Sonic RS sedan joins the RS hatchback in the lineup and is powered by the Ecotec 1.4L turbo engine rated at 138 horsepower (103 kW) and 148 lb-ft of torque (200 Nm). 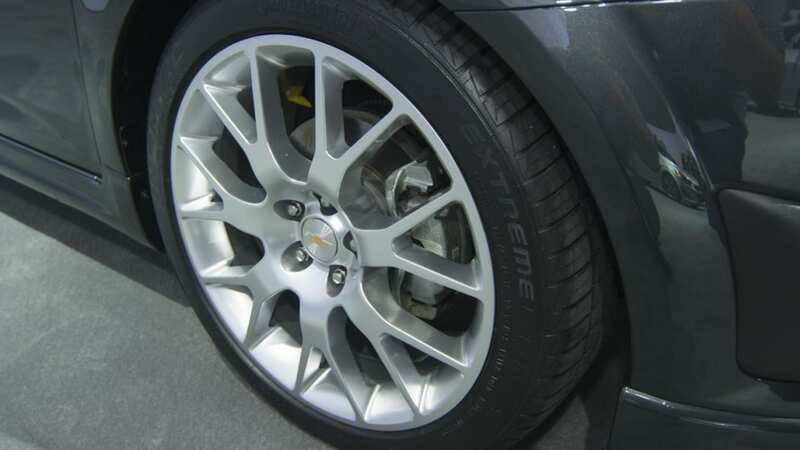 Unique transmission gearing in the six-speed manual, or a 3.53 final drive ratio for automatic-equipped models, along with a sport-tuned suspension and lowered ride height, enhances the car's performance feel. Leather-appointed front bucket seats with red RS accents to the sportier appearance. EPA-estimated fuel economy ratings are the same as the Sonic RS hatchback – 27 mpg city and 34 mpg highway with the manual transmission. The Sonic RS sedan will initially be available in three color combinations: Black Granite Metallic, Silver Ice Metallic or Summit White, all with Jet Black leather-appointed interiors. 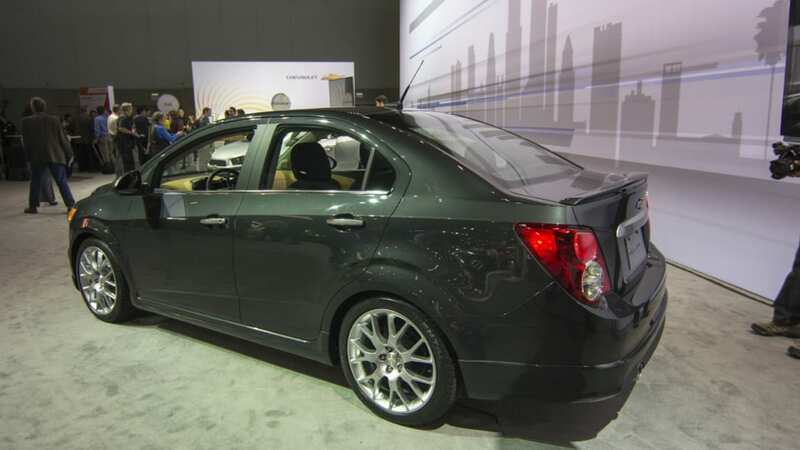 The Sonic Dusk sedan, first shown as a concept at the 2011 SEMA Show, brings sophistication and style to the subcompact market. Unique exterior appointments include a ground effects package, rear spoiler, 18-inch aluminum wheels with a Midnight Silver matte finish and four-wheel disc brakes – unique to Dusk and RS. The Sonic Dusk comes exclusively in Ashen Grey Metallic, with a distinctive matte appearance on the upper and lower grilles, door handle inserts and rear license plate trim. Stainless steel lower window moldings add an upscale accent to the body. 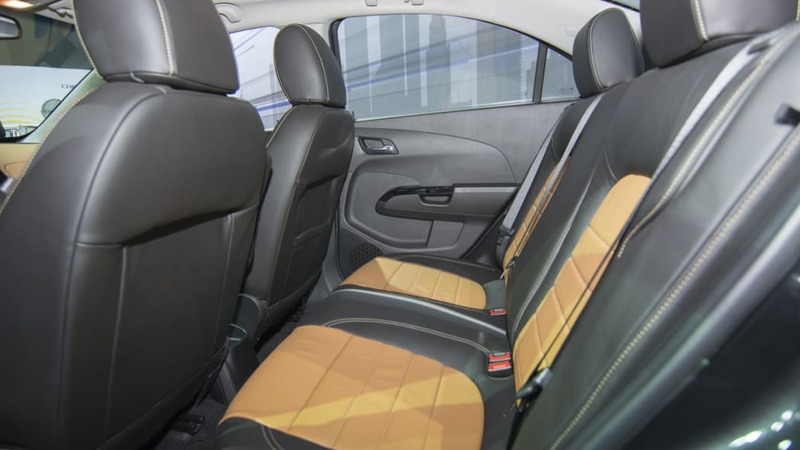 Inside are Jet Black leather-trimmed seats with sueded microfiber accents and Mojave tan inserts. Sonic Dusk is powered by the Ecotec 1.4L turbocharged engine, rated at 138 horsepower (103 kW) and matched with six-speed manual and automatic transmissions. EPA-estimated fuel economy ratings are 29 mpg city and 40 mpg highway, with the manual transmission. These parts join appearance accessories announced in 2013. Both models go on sale in spring 2014 and will be manufactured at Orion Assembly in Michigan. 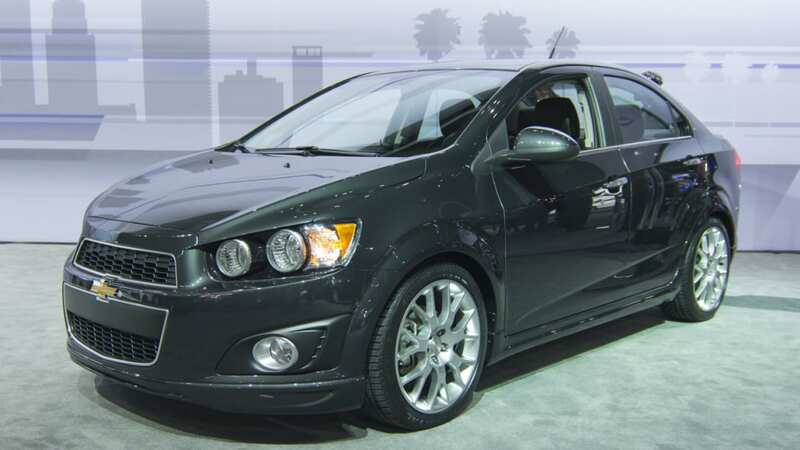 Sonic is the only subcompact assembled in America. 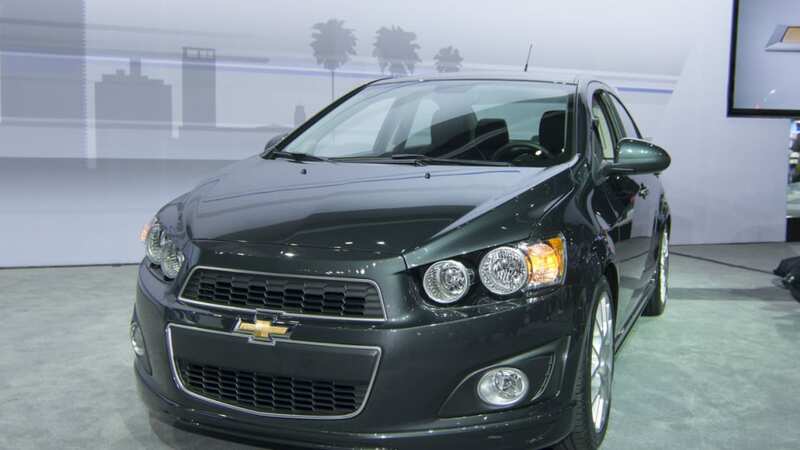 The Chevrolet Sonic and Spark are the first vehicles to offer Siri Eyes Free integration. Through the cars' available Chevrolet MyLink infotainment system, customers with a compatible iPhone* running iOS6 or iOS7 can direct Siri to perform a number of tasks while they safely keep their eyes on the road and their hands on the wheel. Also, the available BringGo navigation app, the most affordable navigation system in its class, offers easy-to-use features that included 3-D maps with lane suggestions, live traffic data, and more.